I made this as a reoccuring setting for ‘bITTER’ at a time when backgorunds were painted without outlines. Since the art style changed since then I would need to rework it if I decide to use the setting again. And I am sure I will. The first picture is the raw version. 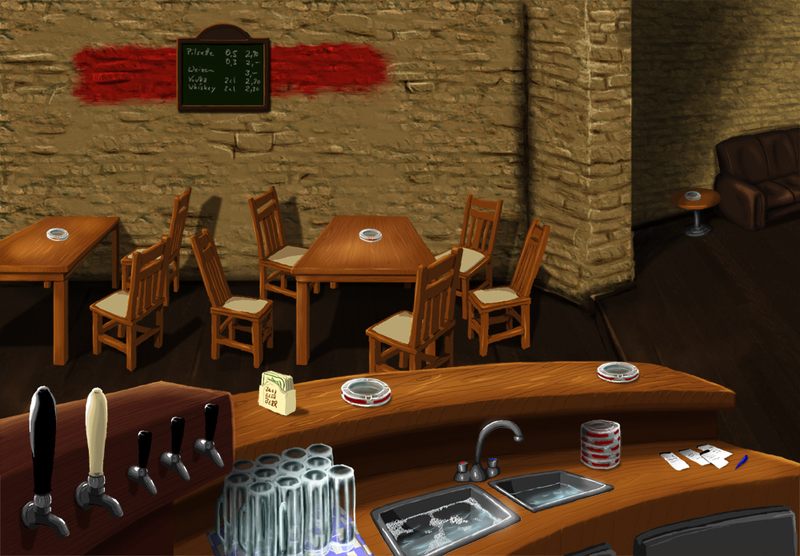 I painted everything on its own layer so I can alter the objects and add shadows as needed. 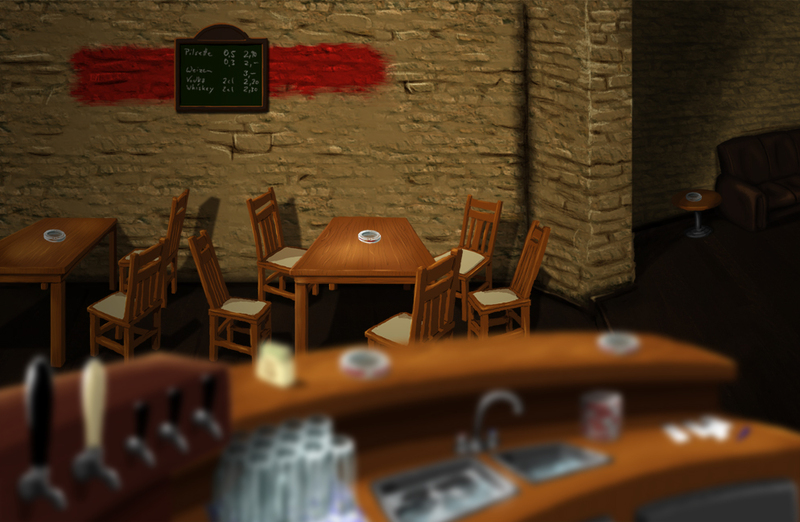 The second picture shows a test with atmospheric lighting and depth of field. I used the setting here, here and here.